The truth of the Church as God had given it through especially the apostle Paul was soon lost by the vast majority of Christians, to be recovered in the wonderful opening up of a number of biblical truths especially during the middle half of the 1800s (1825-1875). W.T.P. Wolston, a medical doctor, spent a good portion of his adult life ministering these newly recovered truths (and other subjects) via lectures around Scotland and elsewhere. These lectures on the Church were transcribed and first published 110 years ago, in 1904. 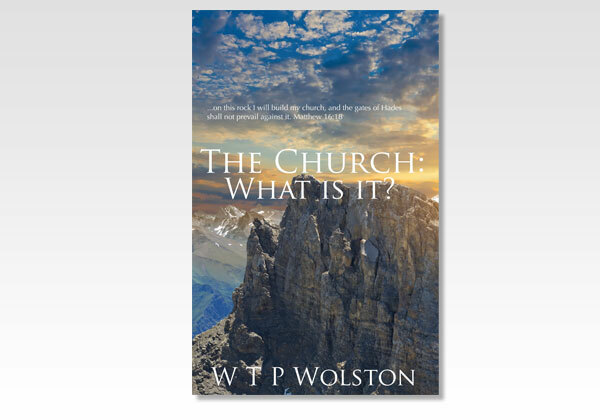 This was probably the first time since the apostles that a comprehensive book of biblical Church-principles became available to the masses. Although many details yet remained to be learned—they are still being learned—the principles haven't changed, and unless we have these God-given principles fixed in our minds, we likely will be carried away by the multitude of man's ideas all around us as to how the "church" is to function. added an occasional explanatory footnote. We believe this book will give you or remind you of what God teaches about His Church, and will be well-worth your reading and re-reading! Dr. Walter Thomas Prideaux Wolston (1840-1917) was saved in his early 20s and was led to become a medical doctor in Edinburgh, Scotland. His expertise as a doctor was highly proclaimed, and he maintained his practice for many years, but used his free time to travel extensively around Scotland and elsewhere ministering the Word, often in lecture rooms. God filled those rooms: multitudes were saved and many of those sought to please the Lord in a scriptural "church" pathway. We trust you too will find help and encouragement from this book.